Being a shrink, valuing my privacy, and an extremely technologically-limited gal, I had previously steered clear of “social media” like the plague I thought it was – prior to my breast cancer diagnosis. However, after having been thrust into this world as a means of spreading the word about my foundation and connecting with other breast cancer patients, I now credit it for being one of the most amazing inventions since hot lobster rolls. It is, after all, through good ol’fashion Facebook that I had the pleasure of meeting the incomparable Susan Rahn. A quiet, beautiful force of nature. This woman gets s*%t DONE! I mean, she really does. She reached out to me after hearing about my diagnosis and what I was doing, through a mutual friend, and just said “I’m up here if I can ever help you with anything.” Words she may be regretting now as I am calling her on them big time! Susan is helping me manage the foundation’s partnership with the Women’s Pro Soccer Team in Rochester, NY – The Flash. She also started my on-line store (see the shop page!) setting up the bravelets with a portion of all the products on her page going to my foundation. Did not mention she was doing this – just did it! Amazing. 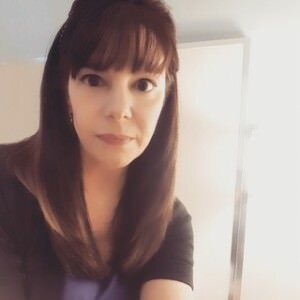 She developed a spunky, honest website to document her illness, discuss vital topics in the metastatic breast cancer community, and help connect with others http://stickit2stage4.com. I personally love her logo – it kinda says it all and I immediately knew I loved her. This is my kind of woman. As I said, she just gets s&*t done, and like, kind of quietly too. She’s incredibly unassuming, I think I’ll start calling her Stealthy Susan. All action this one. In fact, she literally lept into action and shot a promotional video last week with me and the Flash team. Here she is battling Stage 4, nauseous and barely eating, I know she’s not feeling great – but she showed up – rocked some interviews and the video – in sweltering heat, and did it all in her beautiful, graceful, strong way. “In August of 2013, I was diagnosed with Stage 4 Invasive Ductal Carcinoma Metastatic Breast Cancer. Average Prognosis – 3 years. That’s 36 months. 43 years old then with a 14-year-old son. I went to my doctor for what I thought might have been a kidney infection. I was put on antibiotics, but a few days later didn’t feel better. My doctor ordered a CT to see if I had a kidney stone. The good news was there were no stones. The bad news…a lesion in my ribs. My doctor then sent me for an MRI of the spine. I remember being in the tube and hearing the tech tell me to “hang on” while they check with my doctor to see if she wants me to have contrast. While laying there another tech came in and asked me when was the last time I had blood work. Odd question, right? Apparently not – when your scans are showing cancer. The MRI revealed a tumor on my spine so large that it was compressing the nerves and causing the constant pain I was feeling. It was 1mm away from my spinal cord. I went from thinking I had kidney stones to having cancer. Serious cancer. But what kind of cancer – is it bone cancer or something else? My PET Scan was early on a Thursday morning. It took 3 hours from start to finish. I bargained with God all day. Just let me get to 3:30pm, God. My son will be home and I will be home the rest of the day. God, just let me have 3 more years. I have to see my son graduate. God, if you allow me to live long enough to see my husband retire I swear I’ll do everything the Doctor’s tell me. God….please. Then it happened. At the stroke of 5:30pm my phone rang. It was my doctor. This can’t be good. Deep breath … I answered. Thinking back, I feel so bad for my doctor. She was calling to give me the worst news possible and she was trying so hard to be upbeat and not scare me. She was so matter of fact. “Breast cancer.” In the right breast and it had already spread to my bones. My doctor talked about appointments she was setting up and biopsies that were needed. My head was spinning and I felt as if I was drowning. When I hung up the phone I did what everyone is not supposed to do but does anyway when they are given a diagnosis they don’t understand – I began to Google it. What I read made me sick. How did this happen? It was shocking, because 9 months earlier I had had a clean mammogram. I was 43 and I had terminal cancer. My first Oncology appointment was with Dr Shanu Modi at the Memorial Sloan Kettering Evelyn Lauder Breast Center in New York City. Dr Modi was wonderful. I immediately liked her. She explained the best course of treatment based on my particular cancer, but she was honest with me in telling me that unfortunately Metastatic Breast Cancer has no cure. My Oncologist at Sloan Kettering works with my local Oncologist in Rochester at Pluta Cancer Center at the University of Rochester. It helps to have a strong team working for you. Since my diagnosis I’ve had Radiation to my spine and ribs, I’ve had my ovaries removed and had a double Lumpectomy. I’m on my 4th treatment plan that includes a Chemo pill daily for 21 days and 3 injections every month. Susan is coming up on what she calls her “expiration date.” Her son, who – from what I can tell is as amazing as his mom -and is hosting an ice cream eating contest for The Cancer Couch in October – will graduate in 2017. This August will mark 3 years, the average prognosis for metastatic breast cancer patients. As far as I can tell there is nothing average about Susan. However, the reality is, no matter how hard you pray, hope, smile, have a “positive attitude” and desperately want to live, cancer is oblivious to all that. Susan, and so many others, need better treatments – not better attitudes – to get more time. Plain and simple. Help me give that to them, now. 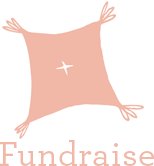 Please consider donating today or hosting an event for The Cancer Couch Foundation in your area. Thank you Susan for sharing your story and for all you do. You amaze me. To learn more about our work in Rochester, catch my Good Day Rochester Segment filmed August 1st!